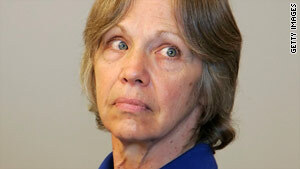 Wanda Barzee faces one to 15 years for two kidnapping cases, including Elizabeth Smart's. (CNN) -- A woman who pleaded guilty to kidnapping Utah teenager Elizabeth Smart in 2002 -- and attempting to kidnap Smart's cousin a month later -- will be sentenced for both offenses in state and federal court Friday. Wanda Eileen Barzee, 64, pleaded guilty in November to federal charges of kidnapping and unlawful transportation of a minor in Smart's kidnapping. As part of that plea agreement, she agreed to cooperate with the state and federal cases against her husband, Brian David Mitchell, federal prosecutors have said. Barzee and Mitchell were accused of abducting Smart, then 14, at knifepoint from her bedroom in her family's Salt Lake City, Utah, home in June 2002. Smart was found nine months later, walking down a street in the Salt Lake City suburb of Sandy in the company of Barzee and Mitchell, a drifter and self-described prophet who calls himself Emmanuel and had done some handyman work at the Smarts' home. Federal prosecutors have recommended Barzee be sentenced to 15 years in prison in exchange for cooperation against Mitchell. In state court in February, Barzee pleaded guilty but mentally ill to one count of conspiracy to commit aggravated kidnapping in the attempted kidnapping of Smart's cousin. In exchange for her plea, prosecutors dropped state charges against her in Smart's abduction, said Nancy Volmer, spokeswoman for Utah state courts. The month after Smart was kidnapped, prosecutors alleged, Barzee and Mitchell attempted to break into the home of her cousin, but were unsuccessful. The girl was 15 years old at the time, according to CNN affiliate KSL-TV. She is not named in court documents. "Mr. Mitchell's attempt was thwarted when the minor child awakened, which caused Mr. Mitchell to flee," the court documents say. After her arrest in 2003, Barzee told authorities that she and Mitchell went to the home to abduct the girl, and planned to hold her, along with Smart, in the couple's camp in the mountains, according to court documents. Barzee faces between one and 15 years in state prison. But prosecutors have agreed to allow that sentence to run concurrently with her federal sentence if she cooperates with the case against Mitchell, said Mark Biljanic, spokesman for the Salt Lake County district attorney's office. The federal sentencing will be held first Friday, at 10:30 a.m., followed by the state court sentencing at 1 p.m. When she entered pleaded guilty to Smart's kidnapping in federal court, Barzee apologized to Smart, according to a transcript. "I'm greatly humbled as I realize how much Elizabeth Smart has been victimized and the role I played in it," she said. "I'm so sorry, Elizabeth, for all the pain and suffering I have caused you and your family. It is my hope that you will be able to find it in your heart to forgive me one day." Barzee had been housed at the Utah State Hospital while courts determined her competency as well as Mitchell's. After years of being declared incompetent, she recently was declared competent to stand trial, according to the Salt Lake Tribune newspaper. A state court had ruled she could be forcibly medicated, and that ruling led federal prosecutors to proceed with bringing a case against the couple, the Tribune said. At a competency hearing for Mitchell in October, Smart, now 21, testified that she had been held captive in Utah and California. Just after her abduction, Mitchell took her to a wooded area behind her home and performed a mock marriage ceremony with her, she said. During the nine months of her captivity, Smart testified, no 24-hour period passed without her being raped by Mitchell. In March, U.S. District Judge Dale Kimball ruled Mitchell competent to stand trial. His federal trial is set to begin November 1. State court proceedings against him are on hold pending the outcome of the federal case.